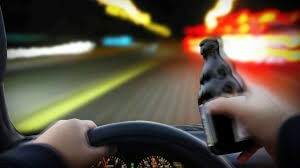 Drunk driving is a serious issue in the United States, having been one of the leading causes of motor vehicle accidents for years. According to the National Traffic Highway Safety Administration, nearly one-third of the population will be involved in some sort of alcohol-related accident in their life, a statistic which is overwhelming as many of these traffic accidents are fatal. There is no denying that drunk driving is illegal, and that to get behind the wheel after drinking too much is not only a danger to yourself, your passengers and the drivers on the road, but it comes with serious consequences. At Sciantarelli Law Firm, our goal is to bring justice to the parties who make this choice. Because of the nature of these cases, the injuries associated with drunk driving accidents are nearly unlimited, ranging from minor fender benders to fatal wrecks. However, in every case, we are dedicated to defending the rights of the injured parties as we firmly believe that they are the true victims, and they deserve to have fair compensation. In all of our cases, we work to be prepared to go to court in order to ensure that you get the settlement you deserve. Because we are passionate about fighting for you, this means that there are no extra court fees or a raise in our attorney fee percentage if your case does turn into a lawsuit. That’s a promise you can count on. Contact us today to get a personal injury attorney on your side who will fight relentlessly for you and for your rights.